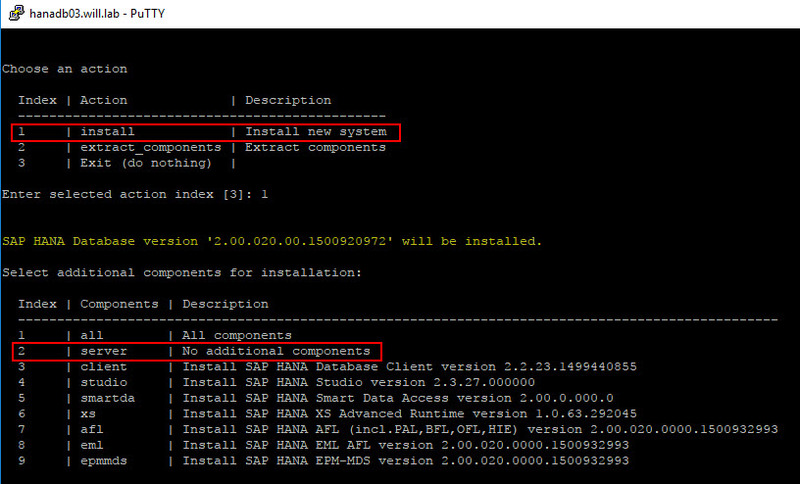 In my documentation, I will explain and detail how configure SAP LaMa 3.0 SP4 in order to be integrate with VMware infrastructure to deploy and manage SAP Hana landscape. 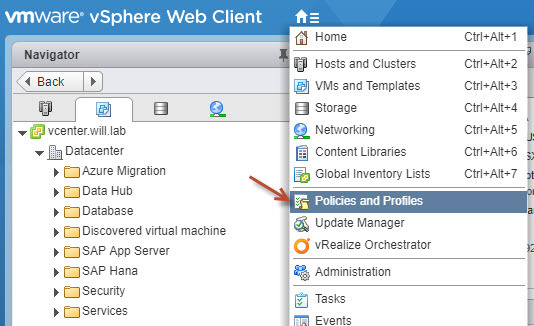 Aside of the LaMa setup, I will also covert the installation and configuration of the different part of VMware product used for the integration. 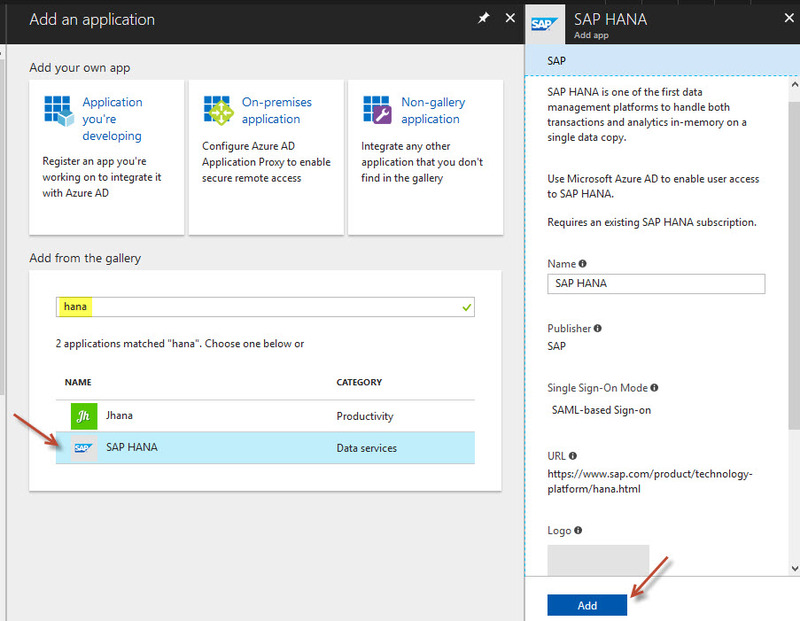 For this scenario, I will integrate the replication of SAP Hana on-premise to Azrue Cloud and configure the authentication with SAML Single Sign-On with Azure AD. 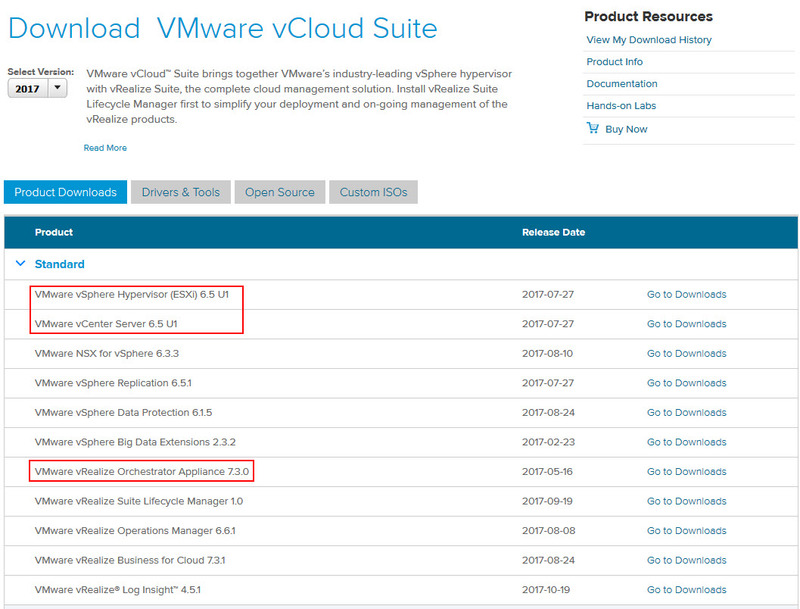 For my setup, I will use my own lab on VMware VSphere 6.5 U1 with VMware vCloud Suite 2017 product, use SAP LaMa 3.0 SP4 Patch1 and use my own Microsoft Azure subscription. 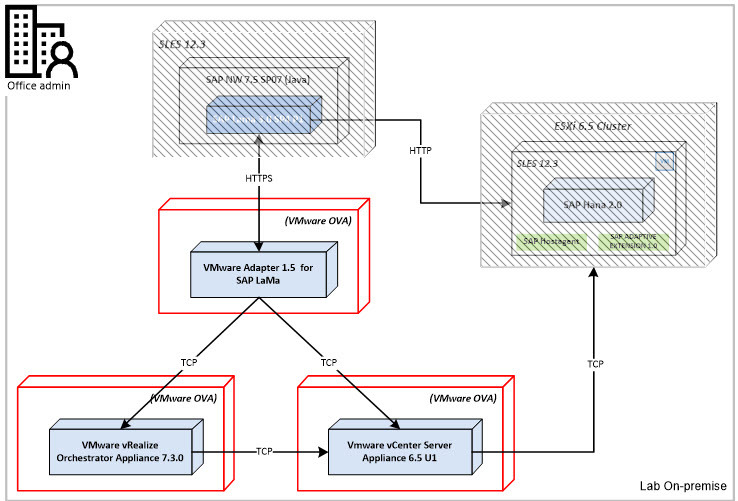 Disclaimer: My deployment is only for test purpose; I make the security simple from a network perspective to realize this configuration and use open source software. 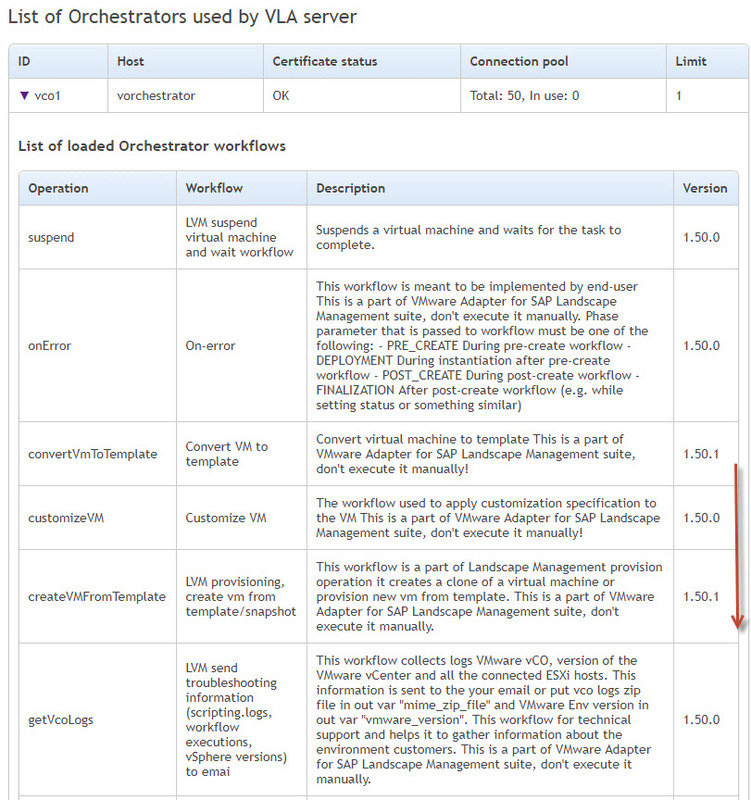 Best practice: Before to start anything make sure to read all necessary note relevant to your deployment, read the product guide for each component that you intend to deploy and make sure that you have done the sizing exercise properly. 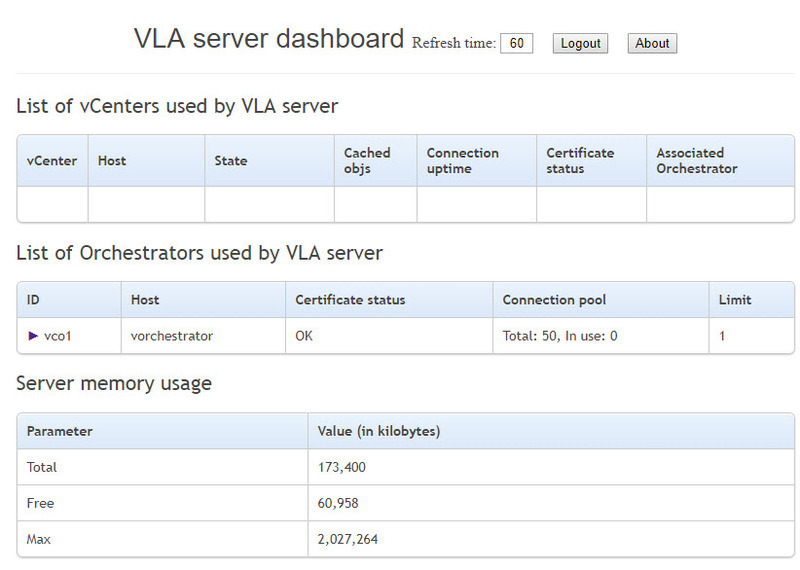 Be careful on restriction and what is supported or not, this will avoid unnecessary hiccup. 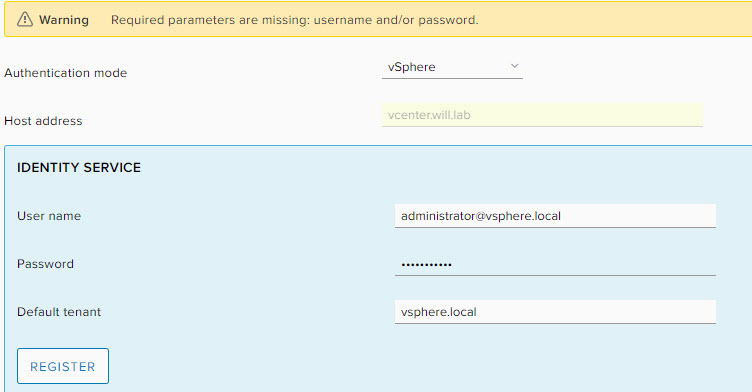 From a high-level architecture point of view, I will setup multiples vms in order deploy hybrid landscape; all of them will be register in my internal DNS. 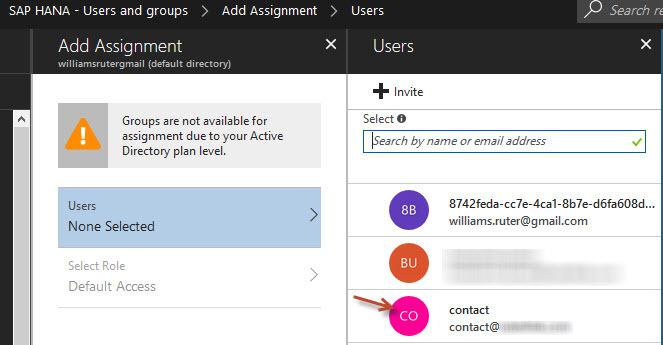 Microsoft Azure – Identity provider use to store users credential and let them use SSO to access SAP Hana application over the web. 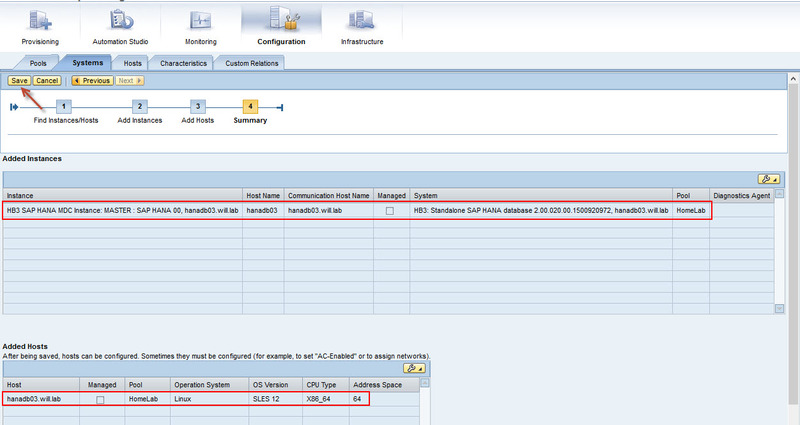 SAP LaMa 3.0 – The SAP LaMa 3.0 SP4 will be deploy as a VM and will be use to manage the SAP landscape from operation point of view. 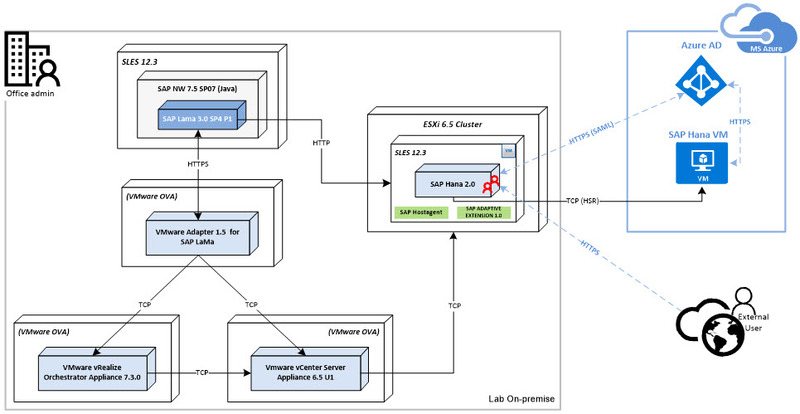 This picture shows in detail the components deploy on each server such as add-on as well as product version, the protocol of communication are showed too but I intentionally omit to provide any port. 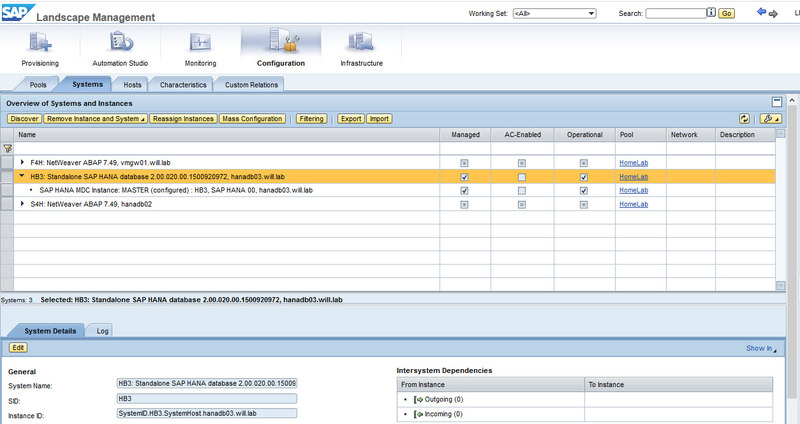 From a detail, components point of view, my SAP LaMa Add-on is deploy on SAP Netweaver 7.5 SP7 Java stack. 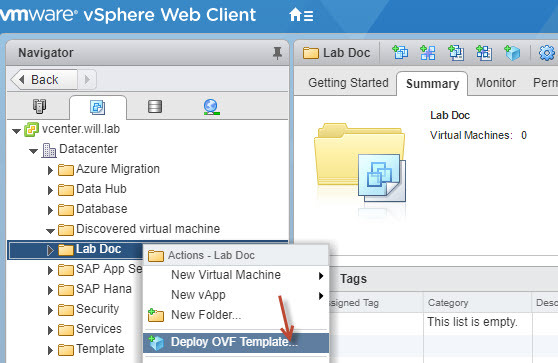 In order to integrate VMware vSphere with SAP LaMa for deployment automation, specific product needs to be install and configure; such as VLA, vRealize Orchestrator and vCenter. 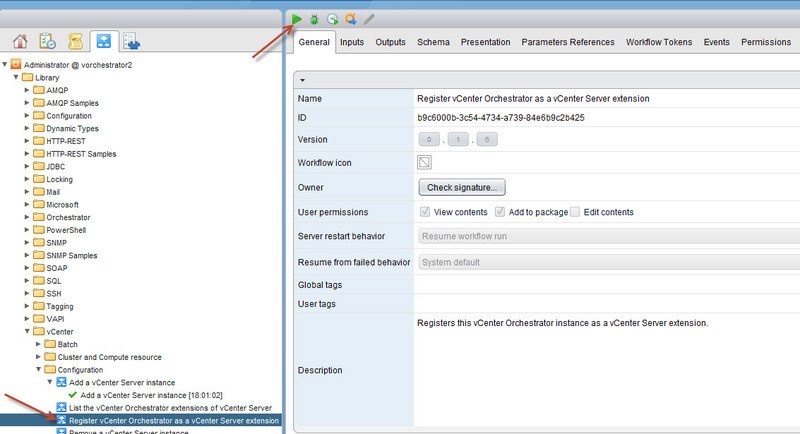 I will explain in detail how perform the necessary deployment and configuration. 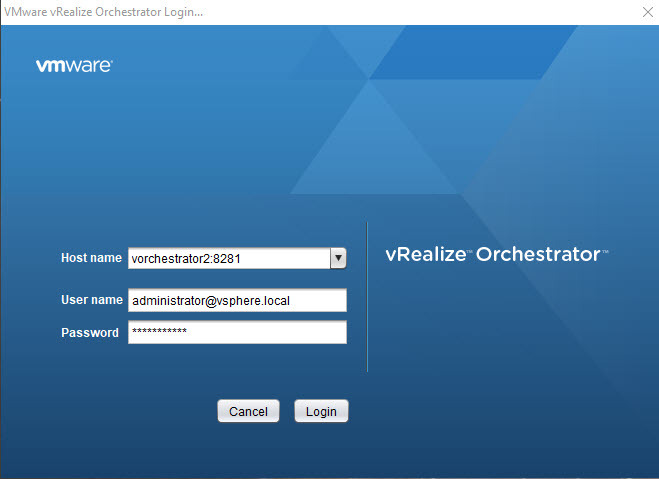 vRealize Orchestrator automates management and operational tasks of both VMware and third-party (SAP LaMa), it is a platform that provides a library of extensible workflows to allow creating and running automated, configurable processes. 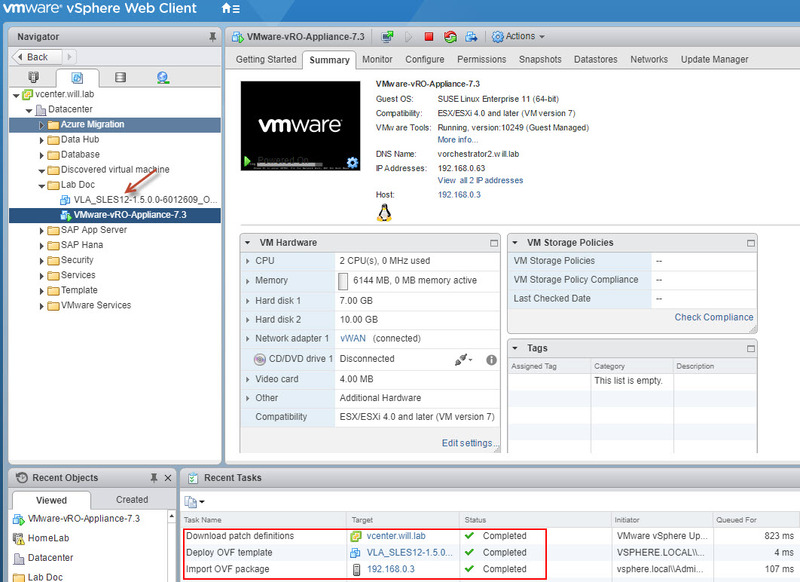 VMware vCenter Server provides a centralized platform for managing VMware vSphere environments, allowing automating and delivering a virtual infrastructure. 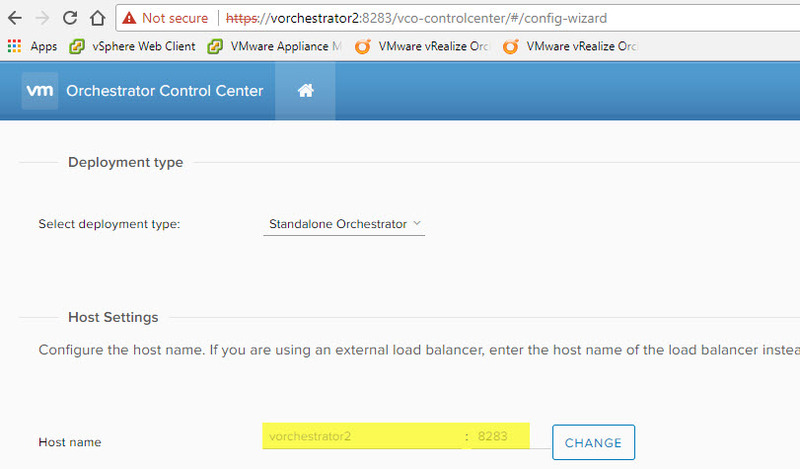 To use VMware VLA, specific product version needs to be use, such as vRealize Orchestrator 7.3.0.21553 and vSphere 6.5. 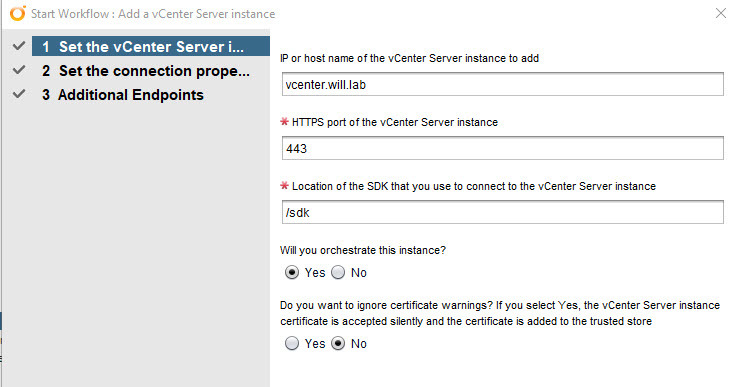 I will not cover the installation of the ESXi and vCenter component since I have them already running as part of my lab. 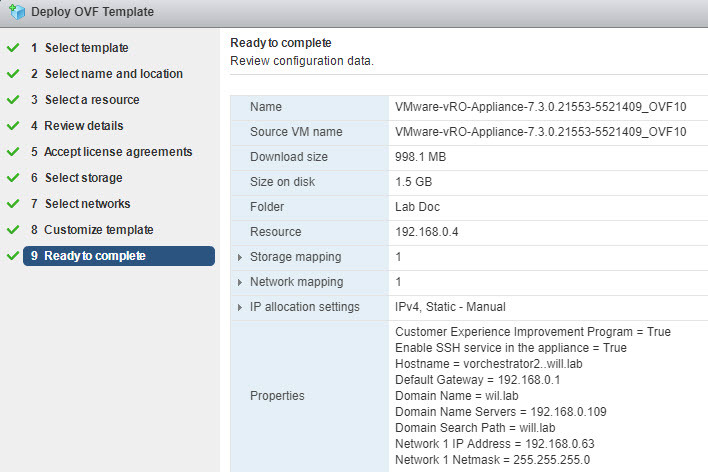 The VMware based Infrastructure for SAP LaMa is now completed. 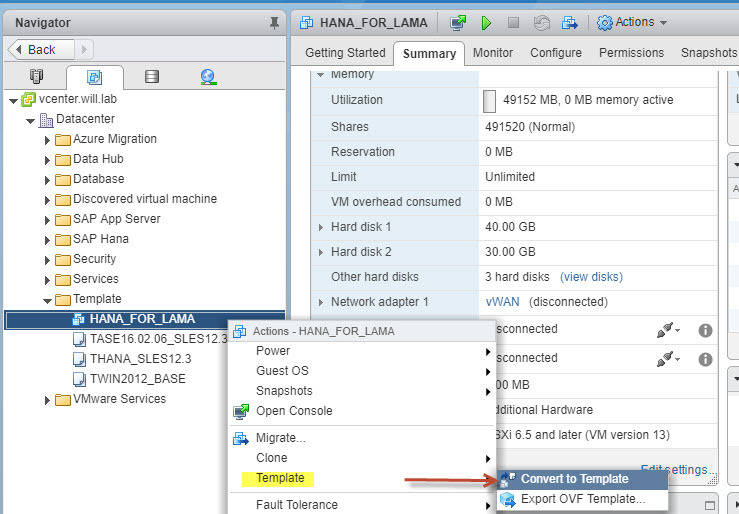 In the case of provisioning server vm scenario, SAP LaMa needs to works with VM template configured and define in vCenter, to prepare a VM template in vSphere it’s pretty straight forward. 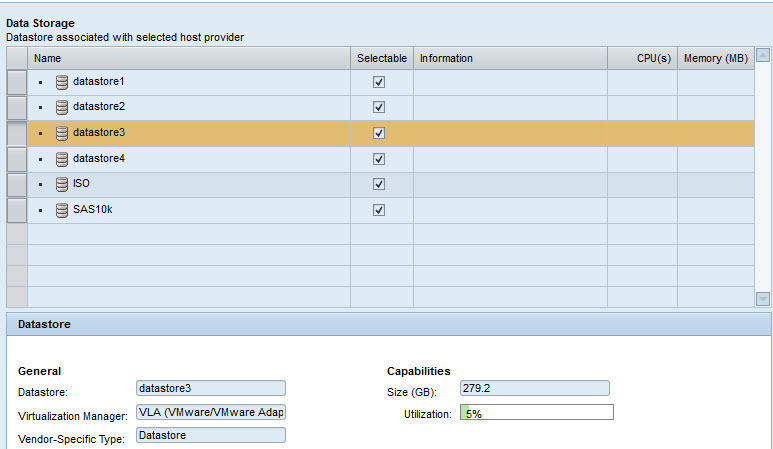 The first thing to do is to create a VM prepare it to host the target environment, file system, cpu, Ram and important point is to install the SAP Hostagent and SAPACEXT.SAR package. 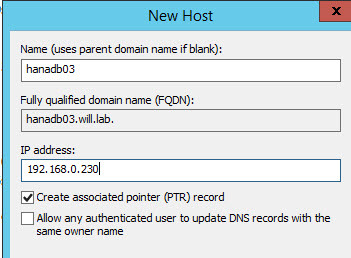 Once done save it, now let’s take a look at the DNS side. 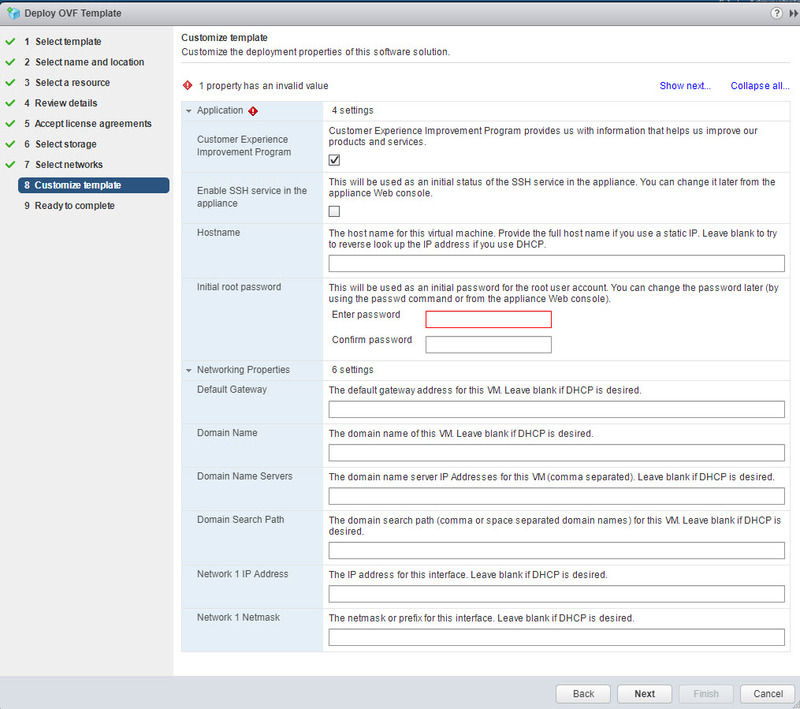 To provision a new host from SAP LaMa, the hostname of the following needs to be resolve by SAP LaMa. 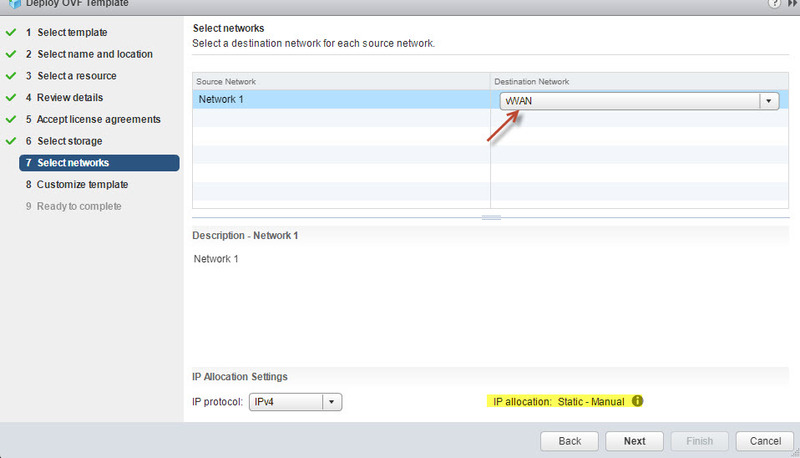 In general the exercice is done by the network and security group. 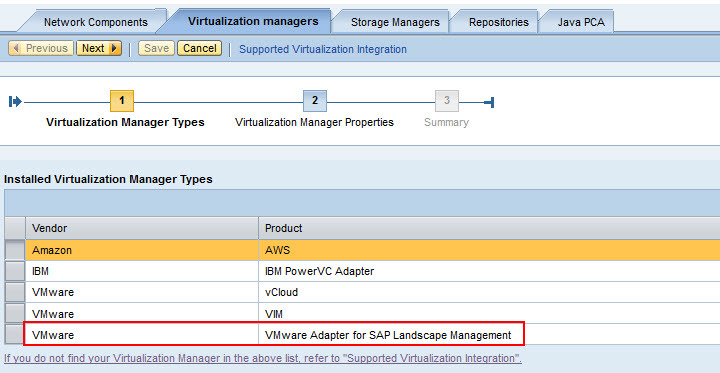 VMware integration to SAP LaMa is done through Virtualization Managers, by using the VLA adapter. 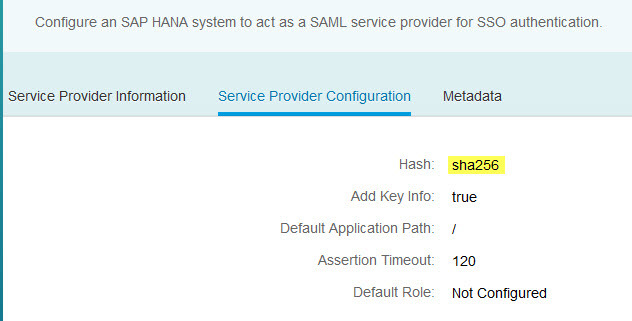 My new host created, it now appear in SAP LaMa under Configuration –> Hosts. 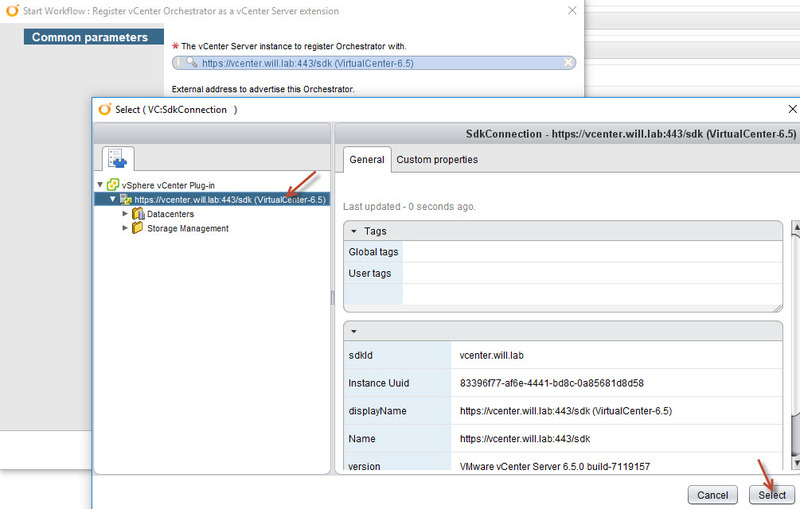 Note the within the integration of VMware with SAP LaMa through the VLA adapter, this gives you the capability to perform operations on vm found on the vSphere cluster. 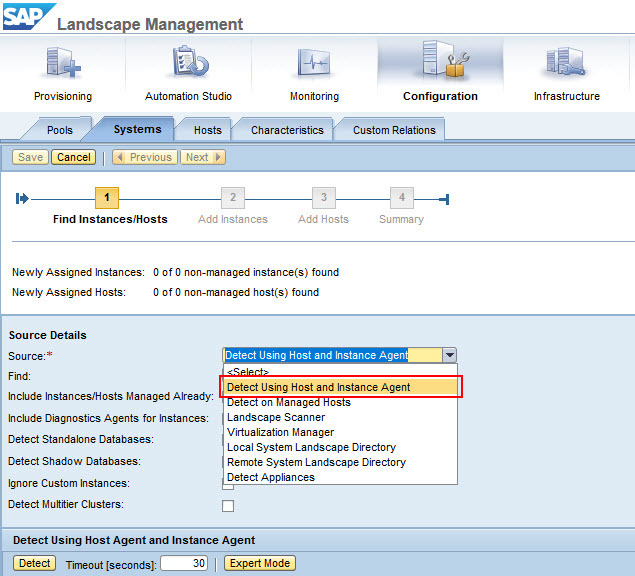 Note: My instance is now register and manageable by SAP LaMa but in order to perform some task such as monitoring, system copy and so on, make sure to enter the necessary user credential in the Hana instance property. 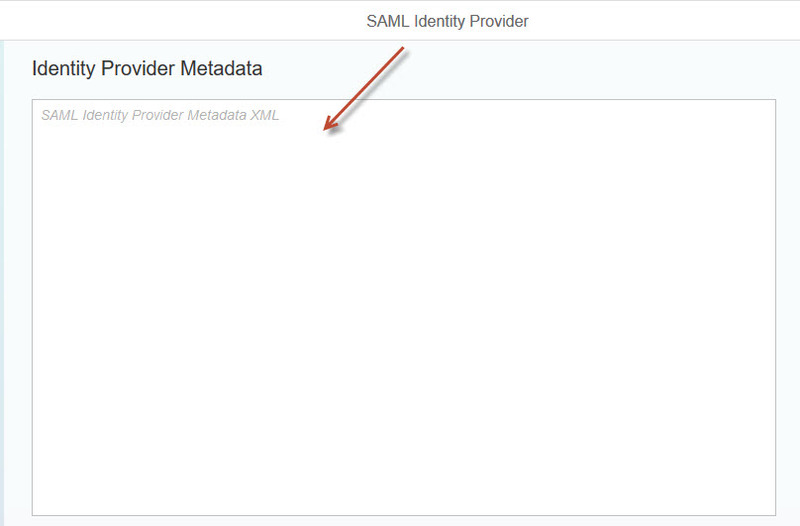 The SAML authentication will be use to access my internal application that is not role based but required an authentication method for mapped user. 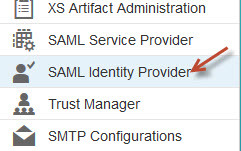 From the list of user available in my AD subscription I choose the on I want to try out the authentication with and assign it for SAML. 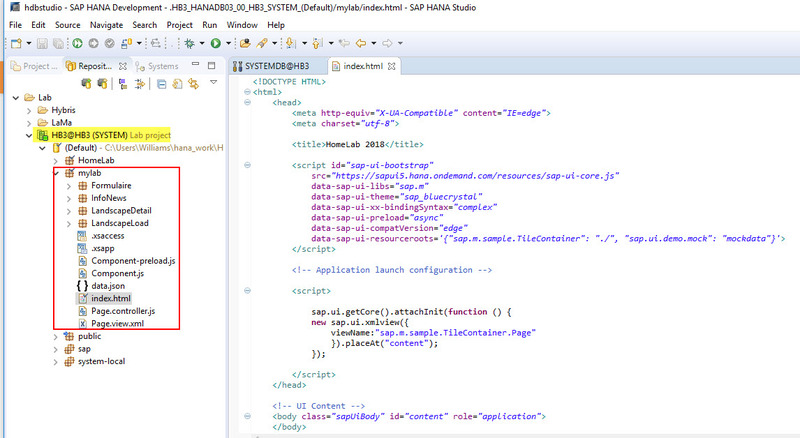 Now done, I go on Hana studio to map the user account with Azure AD. Once completed, I save and try and I’m ready to try. 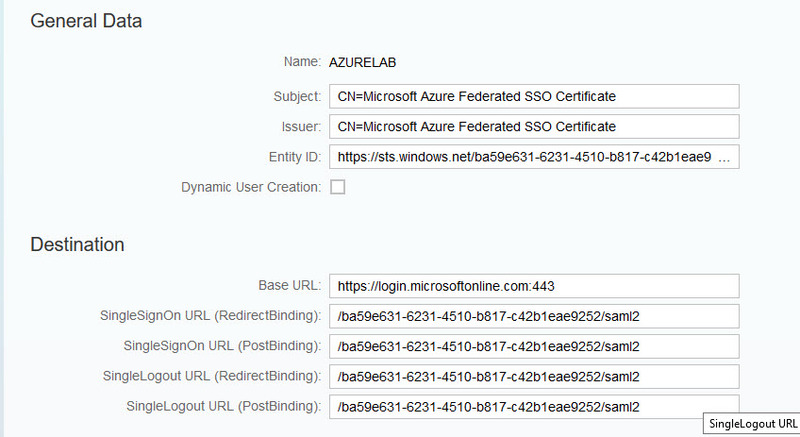 My documentation is now completed, in the second part of my blog I will include the hybrid scenario with replication to Azure. wooww!! 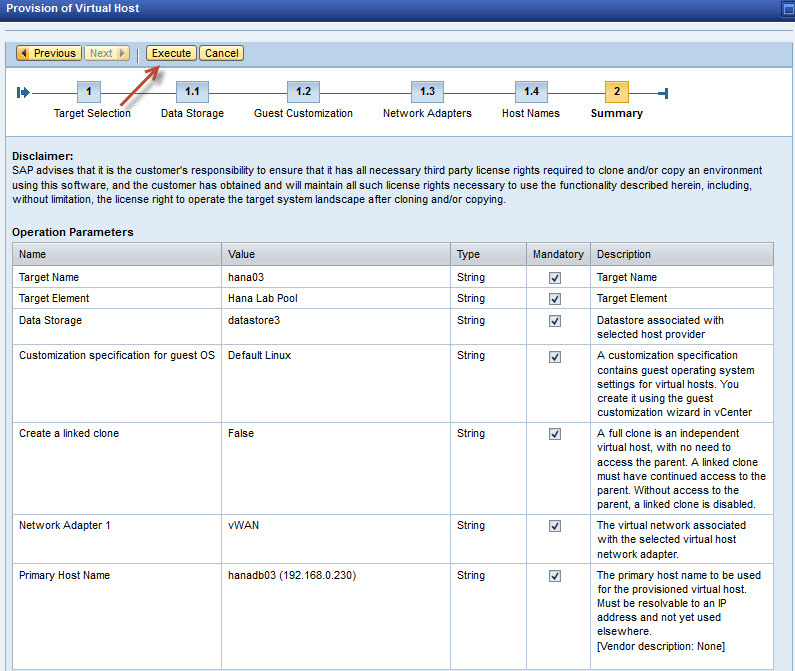 What a such detailed installation. Thank you for sharing. 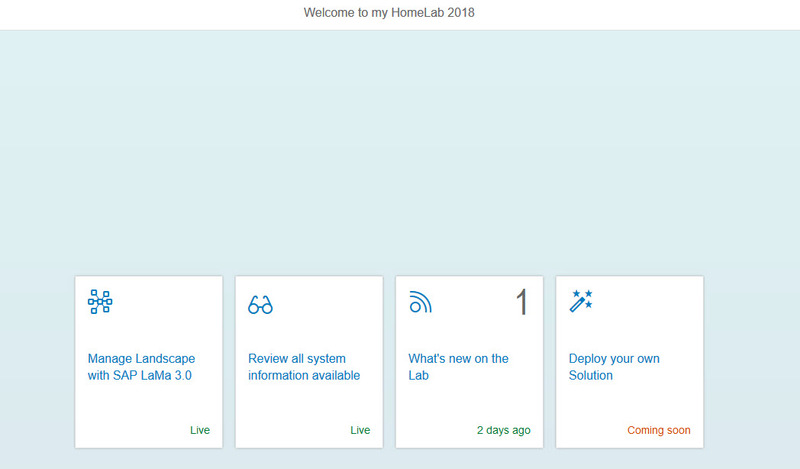 Thanks for your comment, it is the way i like to build my doc 😉 it takes time but i enjoy it !! Thank you very much Satish. 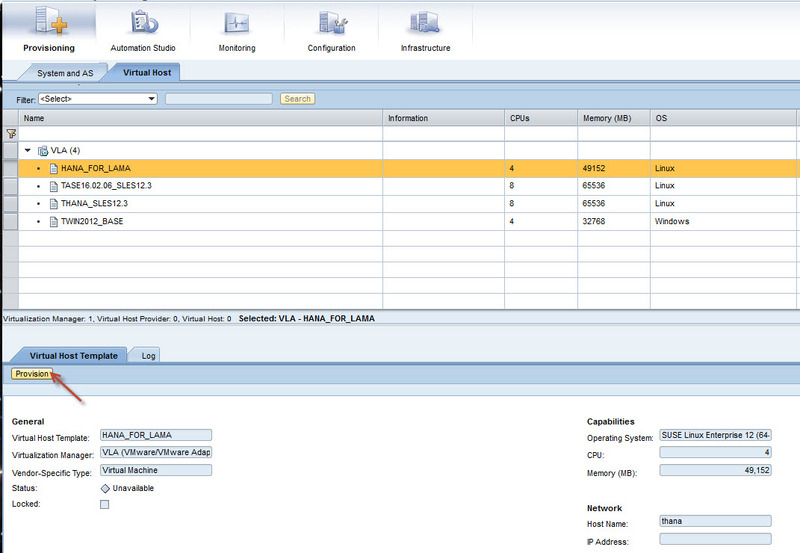 I trying to configure my HANA 2.0 database into LAMA 3.0. 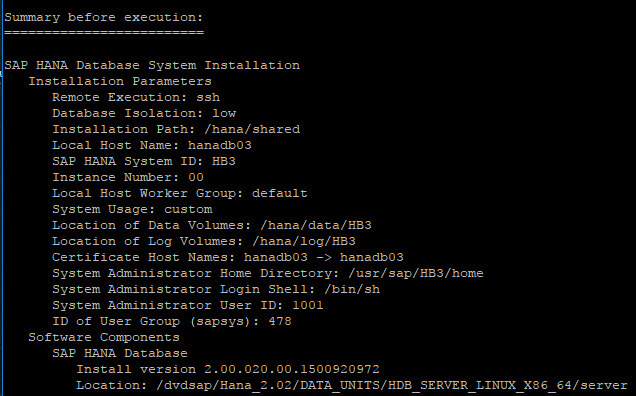 Application servers on that host were getting detected but not the HANA database, which is throwing an error ” Database name SYSTEM@HDB is an invalid format”. 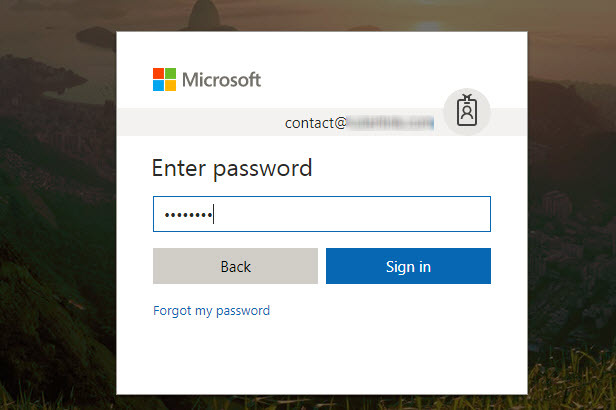 We no where manually given symbol ‘@’ in DB name. 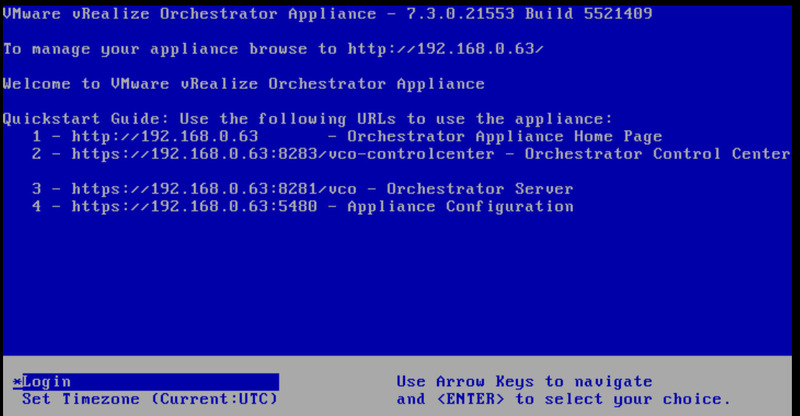 Please find the attached screenshot and help me. Thank you.